Arizona has wasted millions of dollars defending bogus anti-abortion laws. The Arizona State Capitol in Phoenix. Arizona Republicans who salivate at the prospect of stemming government waste of taxpayer money don’t have to look far to find a big leak. The state has wasted millions of dollars in recent years fighting in vain to defend unconstitutional abortion laws GOP legislators passed. 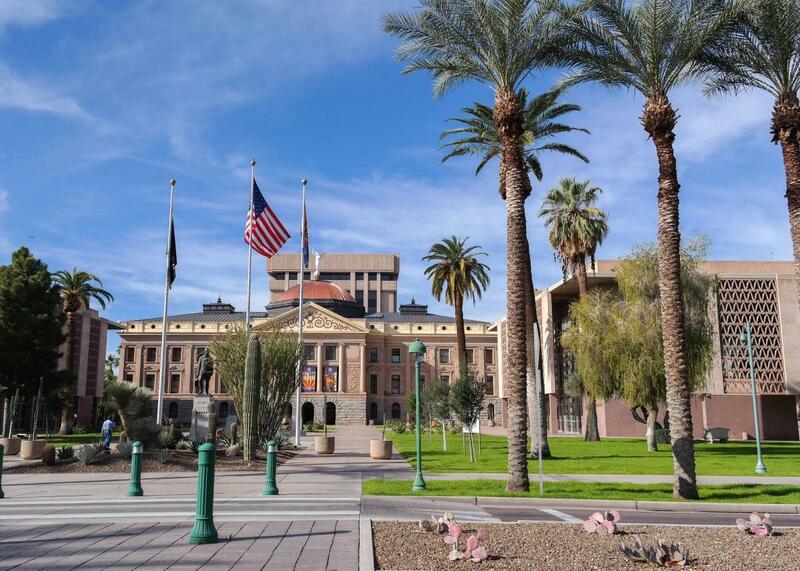 According to a thorough report from the Arizona Capitol Times, the state has spent about $2.32 million in the past eight years defending several anti-abortion laws that were either overturned in court, settled, or repealed. In all of these cases, taxpayers were on the hook for the attorney general’s expenses—including more than 3,300 hours of labor—and the court-ordered attorneys’ fees the state had to pay to the reproductive rights organizations that challenged the laws. The oldest case included in the Arizona Capitol Times piece began in 1999, when Arizona legislators passed a law that allowed the state to search abortion clinics without warrants, seize private patient records, and demand that abortion clinics maintain standards above those of health care centers that performed comparably riskier procedures. In 2010, years after a federal appeals court blocked the law in 2004, the state paid nearly $400,000 in attorneys’ fees to the plaintiffs. Other laws the state unsuccessfully defended include one that banned abortions performed after 20 weeks’ gestation, one that withheld tax deductions from Arizonans who donated to nonprofits that referred clients to abortion providers, one that forced doctors to tell patients against medical evidence that their medical abortions could be reversed, and one that limited doctors to prescribing medication abortion by the exact specifications put forth by the Food and Drug Administration. Legislators who pushed these bills through knew, in many cases, that the laws they supported would not hold up in court. In 2012, the Arizona Legislature passed a bill blocking clinics that offered abortion care from accepting Medicaid reimbursements, essentially keeping low-income women from getting any kind of care at women’s health centers. (Medicaid already can’t be used for abortion services.) Efforts like these, which have sprung up in several red states, are commonly filed under the “defund Planned Parenthood” moniker. Preventing Medicaid patients from choosing their own qualified providers is prohibited under federal law; thus, “defunding” women’s health care providers such as Planned Parenthood is clearly illegal. The Arizona Capitol Times reports that Arizona House Rules Committee attorney Tim Fleming told lawmakers at the time that the 2012 bill appeared to “conflict” with federal law and that every similar bill in other states had been “at least preliminarily enjoined” by judges. Legislators passed it anyway, costing the state and Maricopa County almost $400,000 in attorneys’ fees for a law that never saw the light of day. Right-wing legislators routinely pass laws they don’t expect to have much effect or even make it past a judge’s scrutiny. Earlier this year, Texas lawmakers passed a sweeping abortion bill that included prohibitions of two things already prohibited under federal law (fetal tissue sales and an abortion procedure known as intact dilation and extraction) and a requirement that abortion providers bury or cremate all fetal remains—a provision previously blocked by a federal judge. These kinds of legislators are motivated by the need to please their most radical anti-abortion funders with largely symbolic bills, the hope against hope that some bogus judge will let an unconstitutional law slide through, and the desire to drain the resources of feminist organizations that will invariably end up challenging the laws. There’s nothing particularly wrong with these goals if you happen to agree that making abortion harder to access is worth any amount of money and any degree of decimation of women’s health networks. But voters who think $2.3 million could go toward better ends—funding affordable contraception, for instance—might reconsider their support for lawmakers who waste state funds defending indefensible laws.